The rapid pace of change in attitudes to IaaS underlines how quickly it has become a key part of enterprise IT. 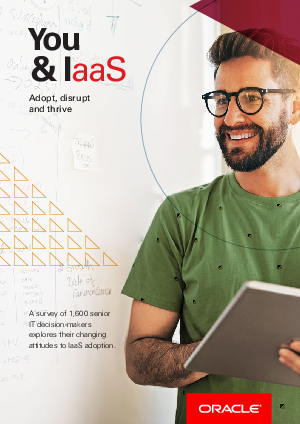 Even in the past three months, adoption levels and positive attitudes toward IaaS have grown. IaaS was originally seen as a way to reduce overall spend and shift budgets from capital expenditure to operating expenditure, and there is no doubt that it has done both. But it is striking how businesses have grown to appreciate the wider benefits of IaaS from greater productivity to freeing staff from routine maintenance in order to work on more value-adding projects.